The Fresno State Symphony Orchestra, directed by Dr. Thomas Loewenheim, will present its second concert of the season “From Russia with Love” at 8 p.m. Saturday, Dec. 8, in the Concert Hall. The concert will present three works written by Russian composers. The show will open with Alexander Glazunov’s “Carnival Overture” conducted by the graduate conducting student Joseph Cargill. 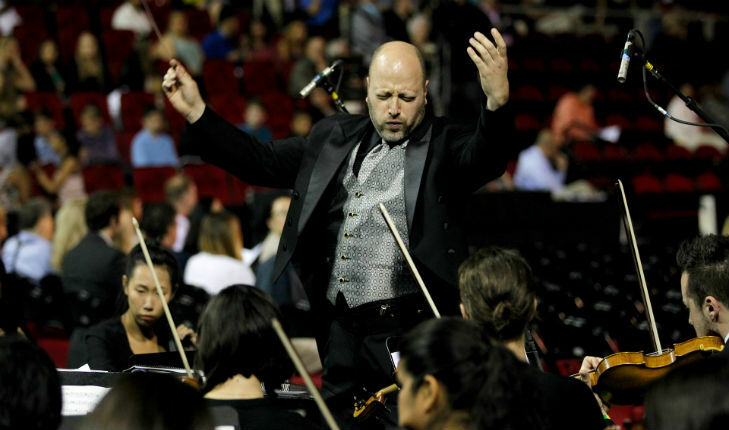 Loewenheim will conduct Igor Stravinsky’s first symphony and Tchaikovsky’s fourth symphony. Tickets are $15 for general admission, $10 for employees and seniors, and $5 for students.